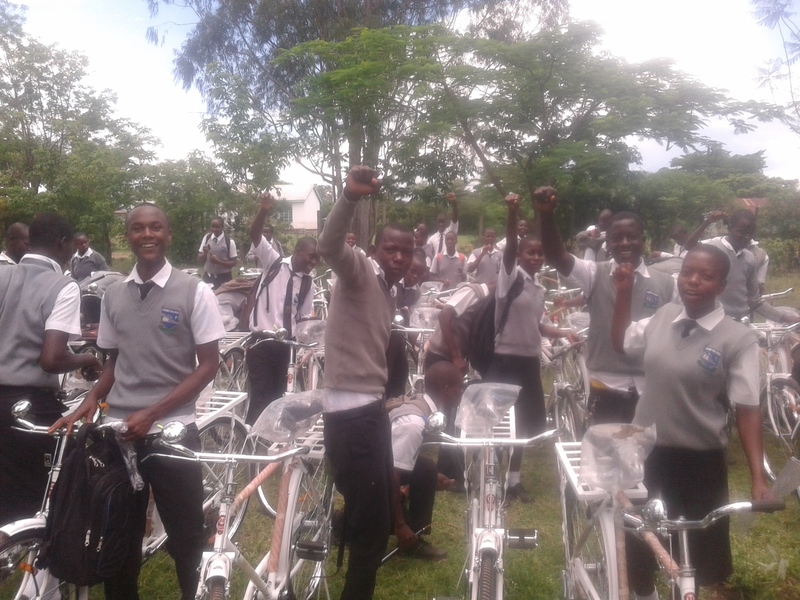 Cycling out of Poverty supports students, health volunteers, farmers and small entrepreneurs with bicycles to improve access to basic needs and services as education, health care, work and income. We believe that a bicycle makes a difference in this world and is a huge contributor to achieving the Sustainable Development Goals. Our mission is to improve livelihood of African families by making bicycles and other mobility aids (such as wheelchairs, bicycle ambulances and cargo bikes) accessible and available for everyone in Africa. Every person has a right to fair and equal access to income, education, health care and food. It is unacceptable that still 1 on every 5 people lives in extreme poverty (less than € 1 per day). Also these people should have a chance to have a fair access to income opportunities, health care, education and food. But accessibility to these basic needs and services is for many people in Africa a huge challenge. In areas where most people rely on walking a bike makes the difference. A bicycle can break the vicious circle of poverty because it offers people in Africa the opportunity to climb (or cycle) out of poverty. We are committed to support these people in need, with bicycles and other mobility aids. We combine our charity efforts through our growing number of fundraising affiliate members in the North and our social enterprises Bikeventures and Green Hub Shop in Kenya and Uganda to distribute more bicycles and other mobility aids. With this bicycle I can visit more markets to sell my tomatoes. It has enabled me to sell more and even save time. It helped to save the life of my sister who was bitten by a snake and was rushed to hospital by bicycle. Without a bicycle she could be dead. I am happy because I can visit more than 10 households in a day using the bicycle. I now spend about 4 hours every day visiting the households that are under my care. Without the support of companies CooP-Africa cannot help entrepreneurs, students and health workers in Africa with bicycles. Become partner of CooP-Africa with your company, organisation or club. To achieve our goals we like working with volunteers and interns. Are you thinking of doing volunteer work, internship or graduation with Cycling out of Poverty for instance in Kenya or Uganda? Check out the positions we currently have available.